Fundraising reports covering the last quarter of 2017 are shedding more light on who’s most viable in Nevada’s competitive House and Senate races. Democratic Rep. Jacky Rosen is celebrating her $1.56 million haul as a triumph over her possible Senate race foe Dean Heller, who raised $820,000 last quarter. Heller’s Republican primary opponent, Danny Tarkanian, said he raised $331,217 last quarter and has $450,522 on hand. Democrat Jesse Sbaih, who’s challenging Rosen in the primary, only raised slightly more than $3,000, but loaned his campaign $2 million. 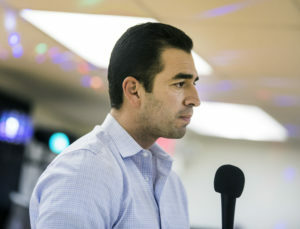 Meanwhile, the contest in Nevada’s 4th Congressional District is in upheaval after Democratic Rep. Ruben Kihuen encountered sexual harassment allegations and announced he won’t seek re-election. Since December, he and Republican Stavros Anthony have dropped out, candidates including former Rep. Steven Horsford and former Rep. Cresent Hardy have jumped in, and fundraising for many has just begun. And in Nevada’s 3rd Congressional District, Democratic education advocate Susie Lee raised $385,000 last quarter, far outraising all the candidates in the crowded Republican field combined. Freshman Democratic Rep. Ruben Kihuen announced in mid-December that he wouldn’t seek re-election as he faces allegations of sexual harassment and an ethics investigation. But he still raised $120,344 in the last three months of 2017. Kihuen paid out $199,832 in the fourth quarter, leaving him with $496,603 in his campaign account at the end of the year. Nearly $115,000 of that money paid out was made in the form of contribution refunds, paid out over the course of December and primarily after Kihuen announced he wouldn’t run for re-election. An aide to the congressman said the contributions were made either to comply with federal law or at the donor’s request, adding that Kihuen had no plans right now for what he will do with the money remaining in his campaign account. Kihuen’s leadership PAC, the Key Wins PAC, reported taking in $5,000 over the three month reporting period, all from the Texas-based Border Health Federal PAC. Meanwhile, Republican Las Vegas City Councilman Stavros Anthony dropped out of the race in January, after the fundraising period was over. He raised $91,905 in the last quarter of the year, spent $28,240 and ended 2017 with $185,459 cash on hand. Anthony stepped out of the contest in mid-January, saying he had been in the hospital for health issues and didn’t want to over-exert himself with a campaign. Republican former Rep. Cresent Hardy announced a few days later that he’s jumping in the race. Democratic state Sen. Patricia Spearman, Democratic former Rep. Steven Horsford, and Republican Jeff Miller didn’t join the contest until January, and Democratic high school principal John Anzalone jumped in in late December. They did not file contribution reports for last quarter. Democrat Amy Vilela, a progressive who threw her hat in over the summer because Kihuen didn’t support a Medicare for All bill, has been gaining traction in fundraising. 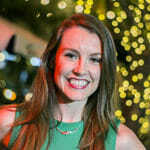 She reported raising $50,787 last quarter, while spending $17,533. She ended the year with $33,254 on hand. About two-thirds of her money last quarter came from donations of less than $200. Democrat Susie Lee, an education advocate and philanthropist, led the pack of candidates in fundraising this quarter in Nevada’s 3rd Congressional District, an open seat with Rep. Jacky Rosen running for U.S. Senate in 2018. She raised $385,000 between October and December, ending the year with more than $600,000 in the bank. Lee’s donations include $5,000 each from Sen. Catherine Cortez Masto’s All for Our Country Leadership PAC, Democratic Whip Steny Hoyer’s AMERIPAC, End Citizens United, the International Brotherhood of Electrical Workers, Sen. Kirsten Gillibrand’s Off to the Sidelines PAC and House Minority Leader Nancy Pelosi’s PAC to the Future. She also took $5,400 each from Paragon Gaming board chairwoman Diana Bennett, Boyd Gaming executive vice president Robert Boughner and Switch CEO Rob Roy. The four Republicans vying for their party’s nomination in the district — state Sen. Scott Hammond, former Clark County Republican Chair David McKeon, former television reporter Michelle Mortensen and former Assemblywoman Victoria Seaman — collectively raised about $260,000, still less than Lee’s haul. Of them, Hammond was the only candidate who crested $100,000, raising just $835 more than that, while Mortensen, who was only a candidate for two of the three months of the reporting period, brought in $81,083.15. Seaman raised $60,886, similar to what she did the prior quarter, and McKeon brought in $16,255. Hammond received $2,500 each from Southwest Gas, NV Energy, Caesars Entertainment and Boyd Gaming. Seaman brought in $6,000 from three members of the Herbst family, which runs Terrible Herbst, $1,000 from Zappos CEO Tony Hsieh and $1,000 from NV Energy. Mortensen took in total $10,000 from Treasure Island and its owner Phil Ruffin, $2,700 from businessman Richard Collins and $5,400 from venture capitalist Elliott Broidy. McKeon’s donations included $300 from former Clark County Commissioner Bruce Woodbury, $1,000 from General Dynamics Corporation and $1,000 from Chicago Bridge and Iron Company. Mortensen and Hammond each received $10,800 from casino mogul Steve Wynn, recently accused of sexual misconduct, and his wife Andrea Wynn. A spokesman for Mortensen said she would donate the $5,400 from Steve Wynn to charity; Hammond has not responded to questions from the Independent about what he plans to do with the money. Seaman, who loaned herself $50,000 in the third quarter, still has the most money in the bank on the GOP side, with $138,698.93 on hand. Mortensen comes in second, with $78,362.14 saved up, followed by Hammond with $69,598.14 and McKeon at $10,564.44. 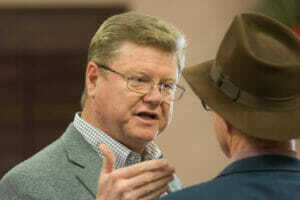 Republican Rep. Mark Amodei ended the year with nearly $18,000 less in available campaign funds than he had three months ago, after raising $62,150 and spending $80,131 during the reporting period. Amodei raised the bulk of his contributions from political action committees, taking in more than $45,900 from PACs over the three month time period compared to $16,250 from individuals. His top donations included $5,000 from Beer Institute PAC and NV Energy PAC and $5,400 from Great America Committee, which is affiliated with Vice President Mike Pence. Amodei’s cash on hand at the end of the period totaled $231,928, about $18,000 less than his total available cash on hand ($249,909) than he started the period with. 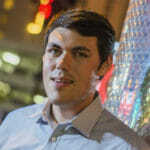 He reported spending $22,980 on “Fundraising consulting,” his largest single reported spending. Amodei also gave $1,000 to the campaigns of former candidate Stavros Anthony and West Virginia Rep. Evan Jenkins, who’s running for Senate. Sharron Angle, the former state assemblywoman who announced intentions of challenging Amodei, didn’t file a fundraising report. Incumbent Democratic Rep. Dina Titus raised $85,896 in the last quarter and ended the year with $349,286 on hand. Similar to Amodei, Titus raised the majority of her funds through PACs ($56,500), with $29,115 coming from individuals. 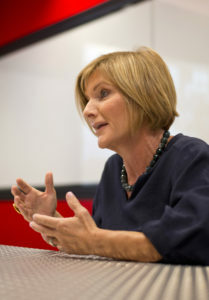 Her leadership PAC, Democrats Time in Nevada, reported raising $25,000 between July and the end of the year, including $5,000 checks from both Pamela and Uwe Rockenfeller (a chemist and entrepreneur based in Boulder City), Caesars Entertainment PAC and the International Brotherhood of Electrical Workers PAC. It also took $2,500 checks from the National Air Traffic Controllers Association and NV Energy’s PAC, and $500 from former Virginia congressional candidate Dave Belote. High school teacher Reuben D’Silva reported raising $23,370 over the reporting period while spending $14,721. Almost all of D’Silva’s donations were reported as unitemized, so information on individual donors wasn’t included in the report. Disclosure: Many people and companies mentioned in this story are donors to The Nevada Independent. See our full list of donors here.